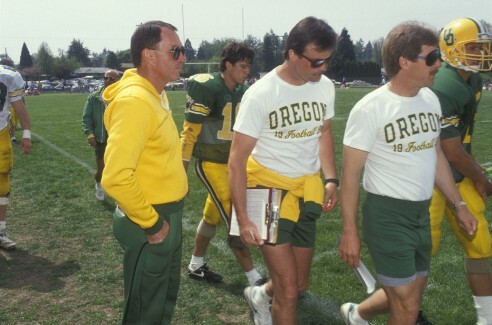 Regardless of what scheme you run, the greatest way to improve your team is in practice. The more productive the practices, the more productive your offense will be. One of the most important jobs a head coach has is to make practices as productive as possible. This doesn’t happen without carefully planning your scheme. When putting together your offense, you have to plan how to practice it so it can be executed. Anyone can draw up plays, but every play has to be taken apart and drilled to develop the execution of the play. So the more plays you have in your offense, the more drills it will take to master. One of the reasons I fell in love with the gun triple offense was that it eliminated the need for many additional plays. It had a built-in counter and it threatened the defense with the dive, keep and pitch. It was a run game by itself. So mastering the gun triple was mastering a run offense. The more productive and flexible your core plays are, the fewer you need. Vince Lombardi’s power sweep was his core play in which the halfback made the line more effective by running to daylight. The play could break in many different spots similar to the gun triple. Hence Lombardi’s offense was simple because he had such a great core play. 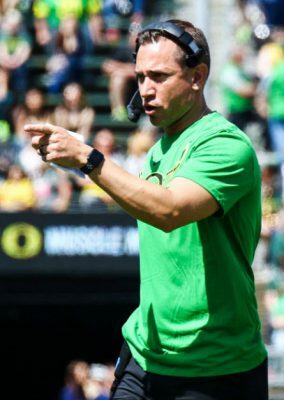 Marcus Arroyo leads the Ducks on offense. Once you select the plays in your menu, the next step is to develop a technique chart. This is a list of techniques involved in the plays on your menu. Then pick specific drills to teach those techniques. Next, decide how much individual and group time you’ll need to practice these drills. If you don’t have enough time to drill your entire offense every day; you are doing too much and execution will suffer. I’d rather run a lousy play great than a great play lousy. It’s all about execution, converting those Xs and Os to the players on the field. Most of the time less is more. The fewer the number of plays, the more you can rep them and the greater the execution. Once you have your technique chart together, the next phase of practice planning is to fit the playbook into the practice schedule. Generally a two-hour practice is the norm. We divided those two hours into 24, five minute blocks. Play cycles QBs/RBs – WRs – releases ball drills and Line – pass prog. Read Drill for 20 minutes – master script. Play action pass (skill) Line pass block prog. Team periods would be about 3rd downs, red zone and goal line. 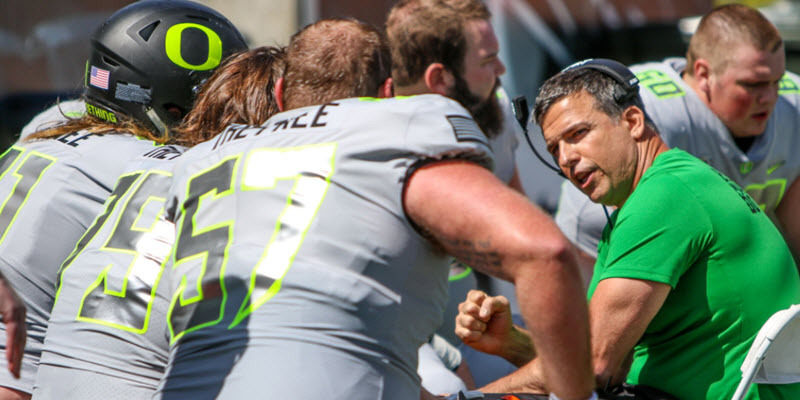 On Monday and Thursday, the emphasis would be on the two-minute drill, moving the ball, packs and checks, and special teams and special situations (kill the clock, coming out “O”. We have a checklist of all the situations we need to practice. On Friday we practice one-time-a-year situations like kickoff return following a safety, taking a safety, last play of the game, etc. Stick to the schedule, do not improvise. Always be on the practice field 20 or 15 minutes early. Always dress in the proper practice attire. Have a whistle with you. Praise players as well as criticizing. An ounce of encouragement is worth a pound of correction. Coach on the run, if you must talk to players, have a group meeting after practice. Players should always be moving, never let players stand around. You get what you demand – demand hustle, discipline and effort. Demand attention to detail. 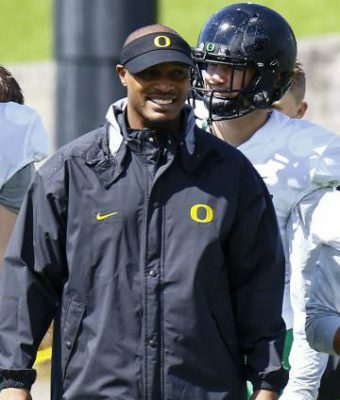 Helmets stay on, with chin straps buckled, for the entire practice (except water breaks). If you feel your group needs water during an individual period – feel free to send them. However, check to see that there is not another group already there. Never get into a debate with a player during practice. Tell him you’ll see him after practice. 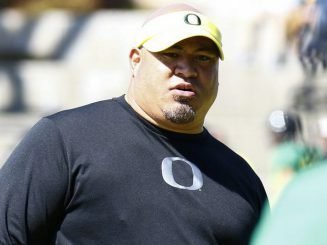 Coach Joe Salavea will bring some beef back to the defensive line. 10. Hustle is habit-forming, and enthusiasm is contagious. Be enthusiastic and always hustle. 11. Always give your drills names so that players can line up easily. Keep drill names short and snappy. Drills should come directly from our drill book. Encourage both sides of the ball – don’t create offense/defense hate. Script all scrimmages except goal line. Always blow a quick whistle. Never allow a cheap shot to go unnoticed. Always call out down and distance. Don’t slow down scrimmage to talk to group – substitute for a player and talk to him alone. Make sure the scrimmage covers all you want to see, the script should be all-encompassing. 13. Always work with players during stretches or calls – there are no rest periods during practice. 14. At the end of practice when Coach DeMeo calls the team together – do not talk to any players. Hustle them in to meet with Tony. After break, then you can meet with players. 15. When meeting another group (skeleton, scrimmages, etc.) always hustle as quickly as possible to the other group. 16. Following practice it is imperative that you visit the locker room every day. If you have been on a player make sure you see him after practice to offer some encouragement. 17. Time or lack of time is the biggest opponent we have. We must master our use of time. The more efficiently and effectively we use our practice time, the more effective our team will perform. Pay strict attention to detail, take care of the little things and the big things take care of themselves. Fail to plan; plan to fail. Discipline breeds consistency and consistency is the father of success. Execution is the result of quality repetition. Enthusiastic practices lead to enthusiastic games. Teams play as they practice. These are some ideas we stress so we can we can be prepared to have a great practice. There is never an excuse for a bad practice. Teach players how to practice. Pre-practice Meetings – discuss upcoming practice – use video first, then chalk. Don’t fall in love with the sound of your voice. Be specific and to the point. Walk through – Script carefully, good for blitz pick up, corrections, blocking adjustments and special plays. Pre-practice – review unique technique, anything that gets neglected. Individual periods – Rep technique, use specific drill progressions for each technique. Refer to your technique chart prior to practice. Group periods – use to coordinate timing, skills or reads (play cycles, air-raid, read drills). Field zones: coming out, goal line, red zone. Down ‘n’ distance – 3rd and short, 3rd and medium, 3rd and long, 4th and short – move the chains. Time management – clutch offense, victory offense and last play. Special periods – be demanding – “You get what you demand” What’s important? Demand it. Demand effort, attention to detail, awareness, focus and a positive attitude. Be demanding – “You get what you demand.” What’s important? Demand it. Demand effort, attention to details, awareness, focus and positive attitude. 10. Enthusiasm is contagious. Lead by deed. Be the example. 11. Players learn by doing not listening – get mega reps – done correctly. Reps with awareness leads to intuition and instinct. Know the law of accumulation. Rich Brooks and Mike Bellotti at practice. 12. Encourage as well as correct – praise pays if it is specific and sincere. 13. Criticize the performance not the performer. Be positive in correction. 14. Have a technique chart with each technique listed and scheduled in the direct proportion of its use or difficulty. 15. Never let an error go uncorrected. 16. Coach players about tempo – getting in and out of the huddle, make hustle a habit. 17. Coach players to “chase the ball”. 19. Unity starts with uniform – To be No.1, we must be one. Everyone dresses the same. 20. Always end practice on a positive note and always visit the locker room after practice. See any player you got on in practice. We want our players to also take responsibility for having a great practice. We grade our practices by using the four aces which I have previously outlined. Always make sure the players are clear on your expectations of them. 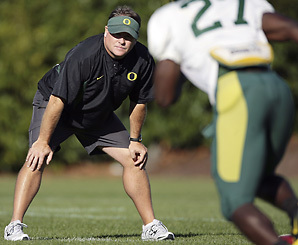 Former Oregon coach Chip Kelly elevated the Oregon program to new levels through practice. To respect all associated with the football program: teammates, coaches, trainers, bus drivers, etc. To play hard and work hard. Make every rep count – quality reps lead to quality performers. Hard work, works! To do all you can to be all you can be. The players have to be coachable, but they have to know that you care about them and want to make them a better player. Remember a coach is first and foremost a teacher and your classroom is the practice field. If you take care of business on the practice field; the games take care of themselves.